23 more sleeps until I fly to Adelaide for my very first food bloggers conference Eat Drink Blog. I am absolutely bursting with excitement and am so grateful to have been selected as a delegate (doesn’t that sound pro?!). See I’ve never been taught anything to do with food blogging. Everything from setting it up, taking photos, advertising, analytics, editing, dealing with tech issues – absolutely everything – I have pretty much taught myself and it has been one steep learning curve. That is why I am so excited to learn all about all these aspects of blogging and more from the pros. I’ve also enrolled in a food-writing workshop so expect my vocabulary to expand and writing to excite (even more I hope) throughout November. While I’ve taught myself nearly everything I know, there have been quite a few wonderful bloggers who have helped me along the way. 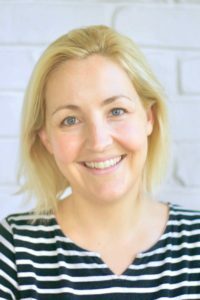 Celia from Fig Jam and Lime Cordial is one of those bloggers. In the early days, Celia gave me quite a few tips and one to keep me out of trouble with copyright issues that I never would have known. Thank you Celia! 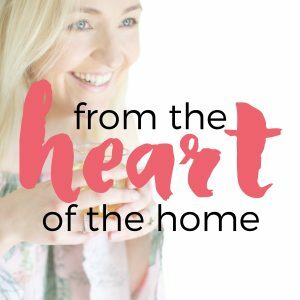 If you’ve ever visited Celia’s blog you’ll also know she makes the most mouth-wateringly-delicious recipes. 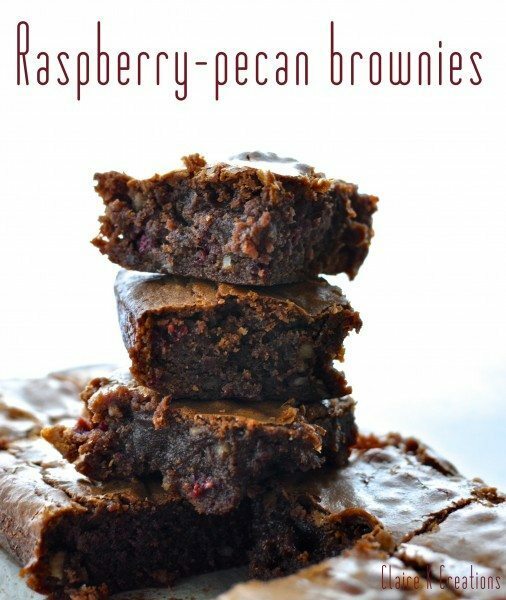 These raspberry and pecan brownies are an adaptation of one of those recipes. I used pecan meal I found at the health food shop but you could use hazelnut meal like Celia does in the original recipe. This is the third time I’ve made these brownies and most definitely won’t be the last. 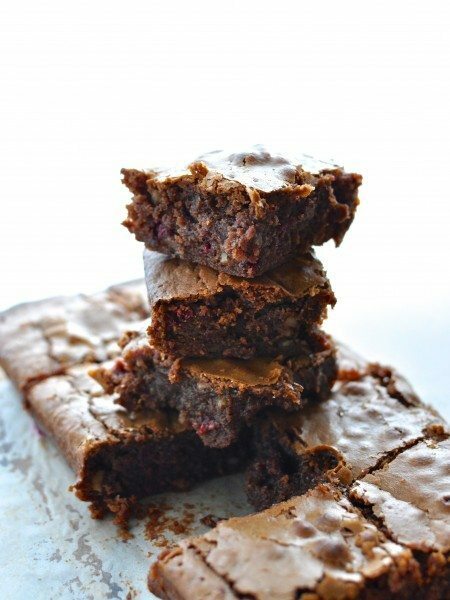 Other than the amazing deliciousness of these brownies, the other plus is that they are really really easy to make and if you’re lazy like me, you can make them all in the one bowl, or in my case jug. You’ll need a heatproof bowl or big jug. I used my 1L Pyrex jug. Pop the butter and dark chocolate in the bowl and zap it together in the microwave for 20 seconds at a time and give it a big stir between each zapping. Keep heating it until the mixture is smooth then set it aside to cool a little for 5-10 minutes. 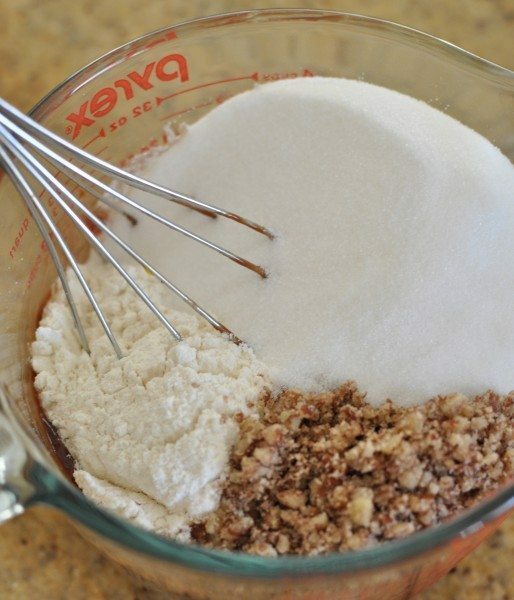 Add the sugar, flour and pecan meal and stir them through. I’d advise you not to use a whisk if you don’t want everything to get stuck in the middle of it. A spoon is a much better idea. 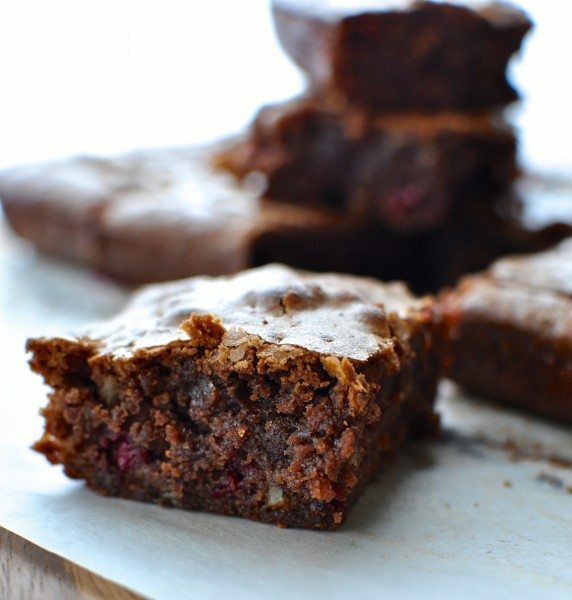 Note: because there’s hardly any flour in these, you could quite easily substitute it for gluten-free flour to make them gluten-free and not change the taste or texture at all. 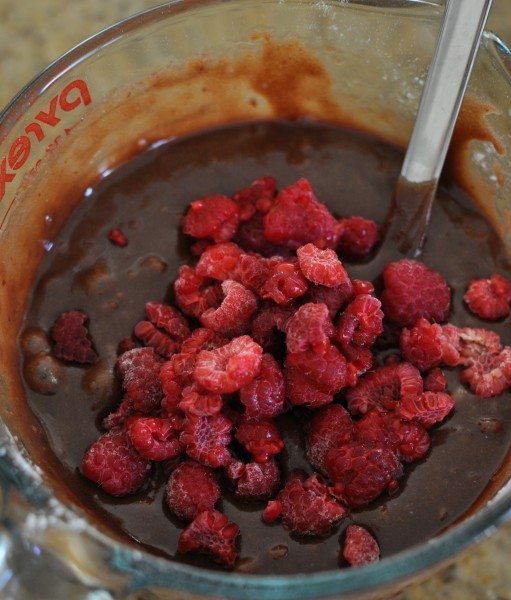 Raspberries and chocolate – is there a better combination? Finally, fold through the raspberries. I must admit, I was seriously tempted to spoon a big blob of this straight into my mouth. I resisted though and spread it into the tin instead and then baked it for about 30 minutes at 160C fan-forced. 30 minutes baking resulted in a brownie that was nice and gooey in the middle with some crunchy bits on the outside. If you like it a bit firmer cook it for 35-40 minutes. 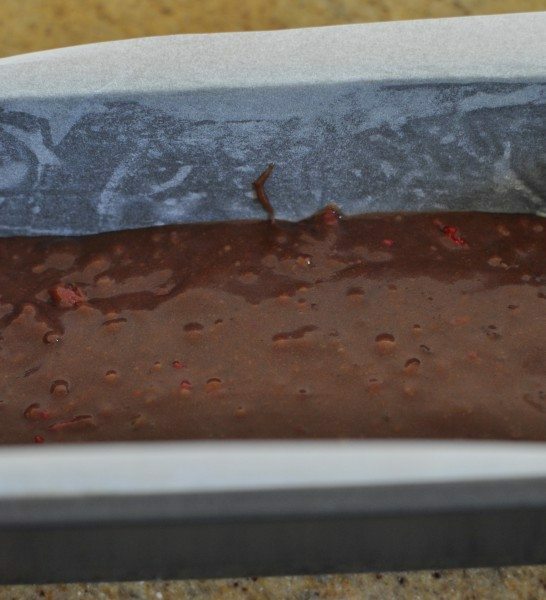 Leave the brownie to cool completely in the tin. 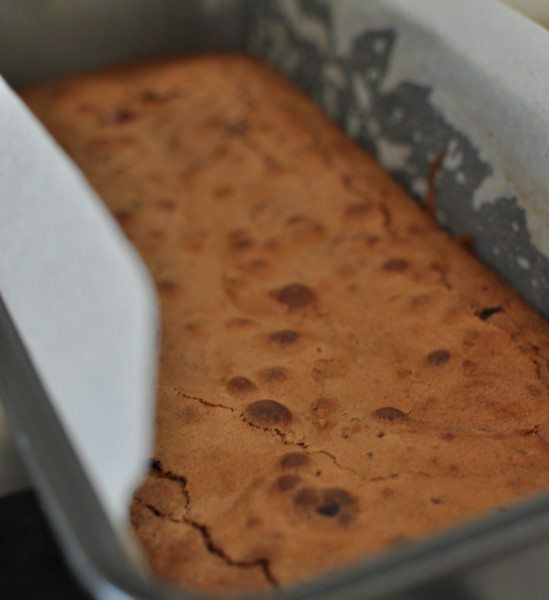 Use the paper levers to lift the brownie out of the tin and then slice it up into generous wedges. 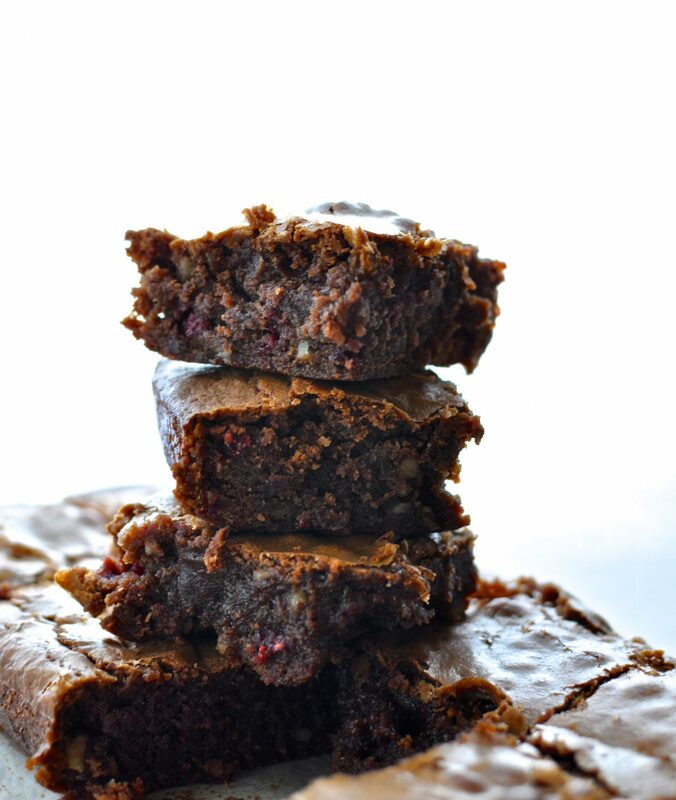 Despite its rich appearance, this brownie isn’t sickly, it’s just the right amount of chocolatey goodness. So balanced you could quite easily eat a second slice should the urge strike. For dessert one night I had a square of brownie just as it is. The next night it was made even better by a big blob of homemade vanilla gelato. Enjoy! What about you? What do you wish you could learn? Grease and line a large loaf tin so that the paper extends over the long sides of the tin. 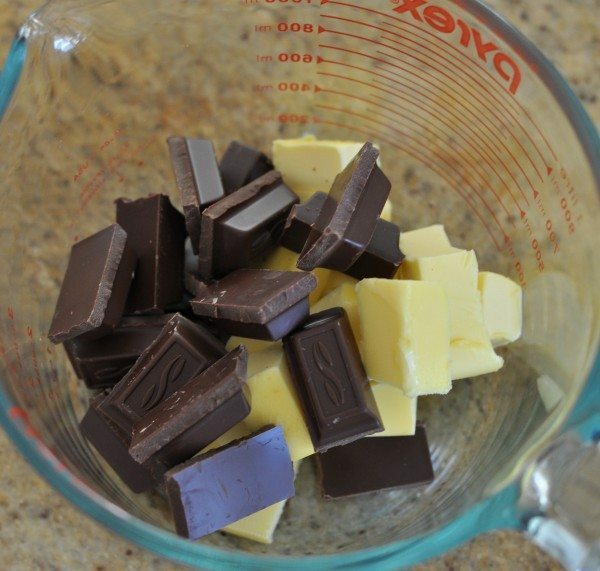 Place the butter and dark chocolate in a large heat-proof bowl and zap in the microwave 20 seconds at a time until the chocolate has melted and the mixture is smooth. 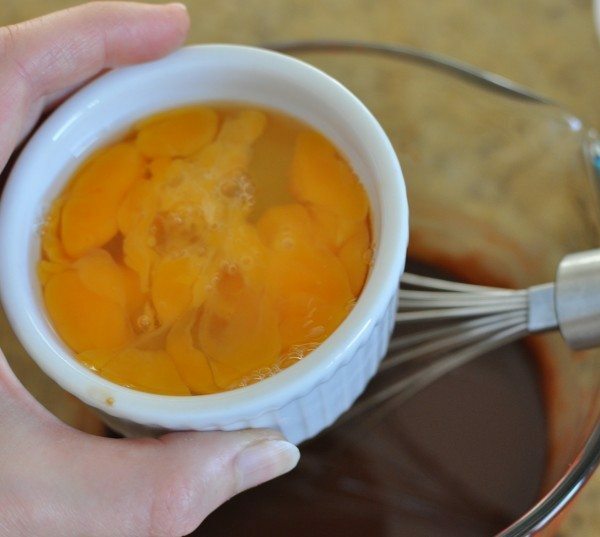 Leave the mixture to cool for a little and then whisk in the eggs. 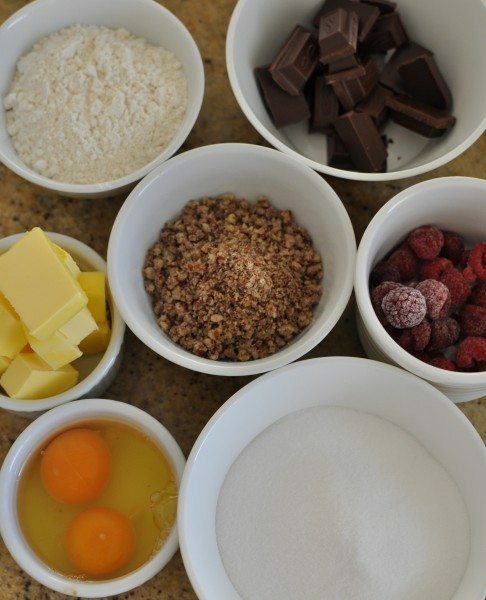 Stir through the sugar, flour and pecan meal and then finally fold through the raspberries. 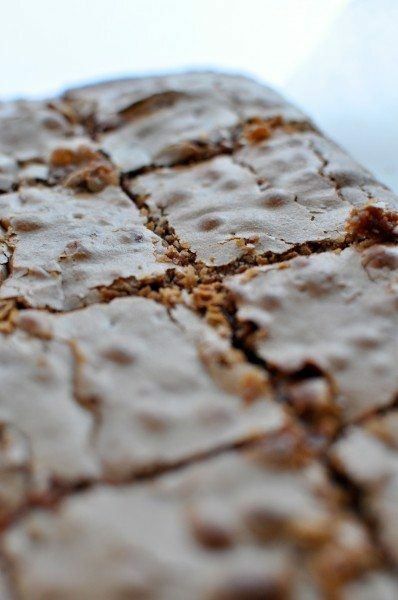 Slice up into generous squares and enjoy warmed a little. Love Celia too:) and love these brownies! How you resisted a spoonful I’ll never know, lol. Have a wonderful time at the conference and can’t wait to read all about it on your return!! Congrats! Thanks Barbara. I don’t know either but I was rather full from lunch at the time. Thank you I will! Ooh a ‘to die for’! Thanks Chris! You’re so kind. It’s been quite a challenge but definitely worth it! I can’t wait to hear about the conference! I went to Eat Write Retreat earlier this year and had such an amazing time. I’m headed to Mixed in a few months as well and hope to get to IFBC next year. Have a great time! I love the names! Thanks Jen I’m sure I will! These look so yummy! I wouldn’t have been able to resist eating the delicious gooey batter. It was pretty hard Sophie! Does this mean we’ll get to play together?? :) I have so much to learn — from you and everyone else. 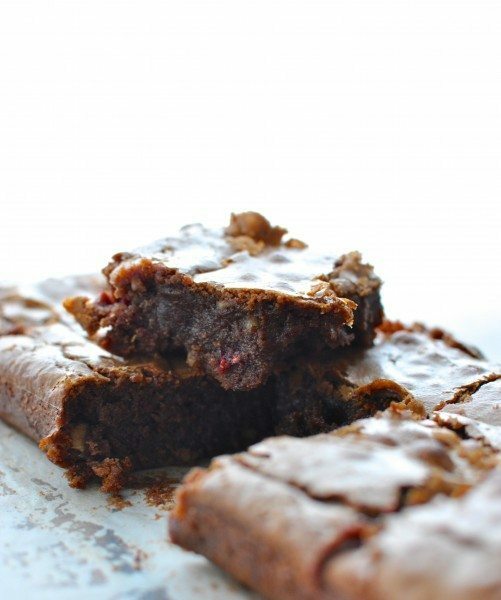 I really like your brownies. It sure does Maureen! I can’t wait to meet you! I know just a few weeks to go! She is indeed. They’re a versatile little berry aren’t they? They don’t discriminate between the chocolates! I can’t wait for the conference. It will be fantastic!